Hi everyone and welcome to week 16 of Christmas inspiration with Art with Heart Stampin'Up Team Australia. 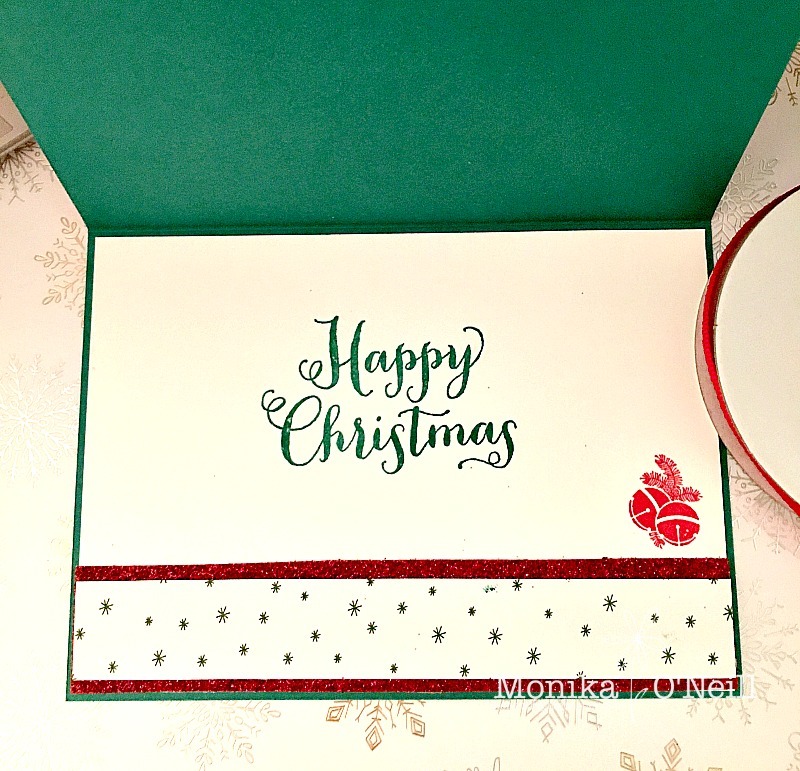 Today I decided to make another of my favourite cards and thats the shaker card. My card base is Emerald Envy card stock. I used the Lots of Labels Framelits for my cut out using no's 5 & 6, then cut out the frame using Dazzling Diamonds Glimmer paper. 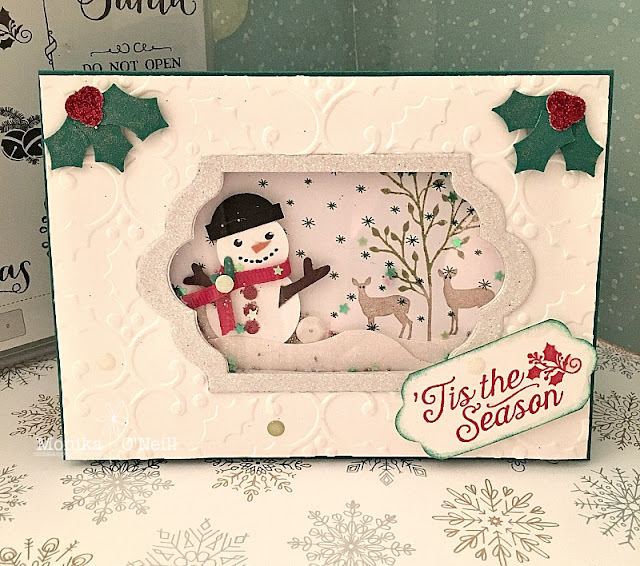 Using the Big Shot I used the Holly Textured Impression Embossing Folder. I made the snowman using the 1 inch circle punch and the 3/4 inch circle punch, for his arms I used the branch from the Tree Builder Punch, his nose is from Pumpkin Pie and his hat I free hand cut from black card stock. 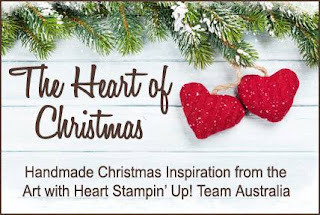 The little deer are from the Carols of Christmas. The background paper is from the Naturally Eclectic DSP. Snow ground cover is dazzling diamonds glimmer paper. 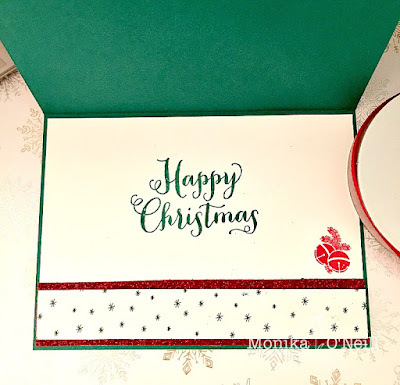 The sentiment is from Oh what Fun stamp set using Real Red ink pad and sponged in Emerald Envy, I used the Holly Berry punch for the leaves and berries in each corner, the berries are punched from the Red Glimmer paper. And a peek on the inside.